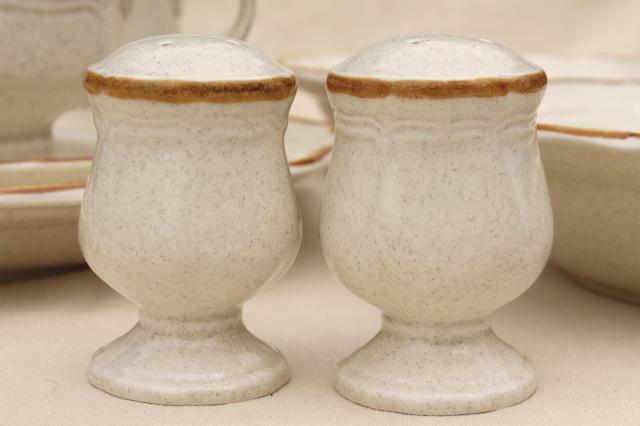 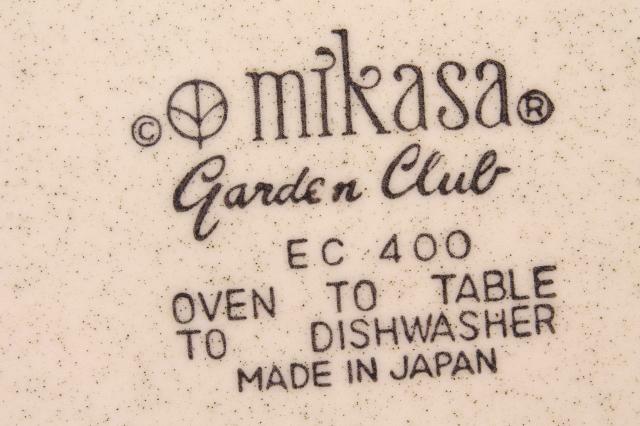 Late 70s or early 80s vintage Mikasa stoneware, made in Japan. 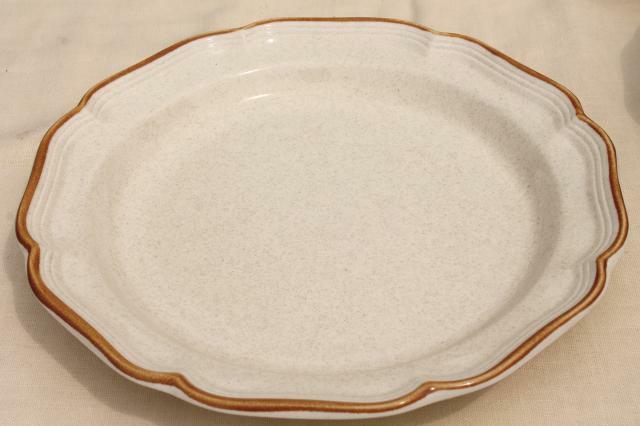 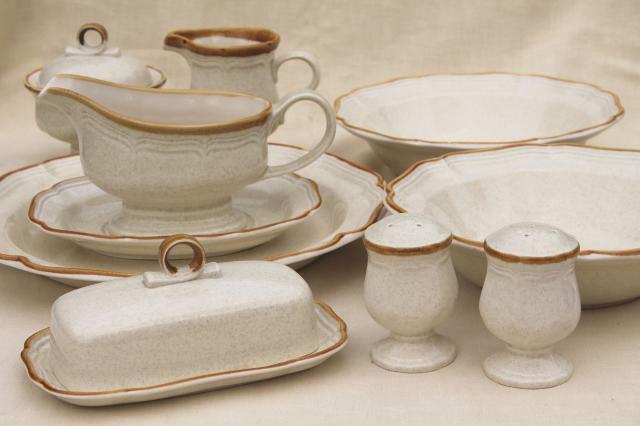 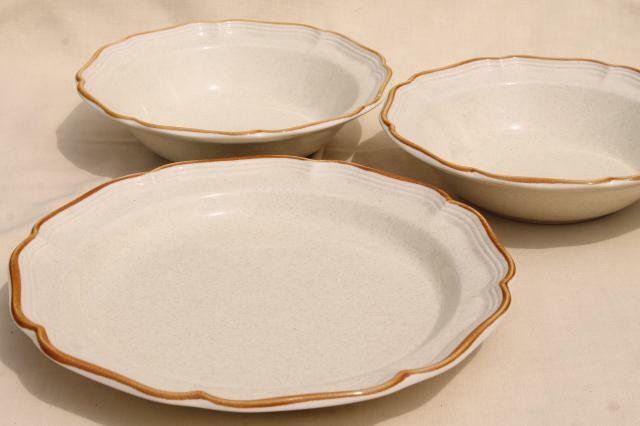 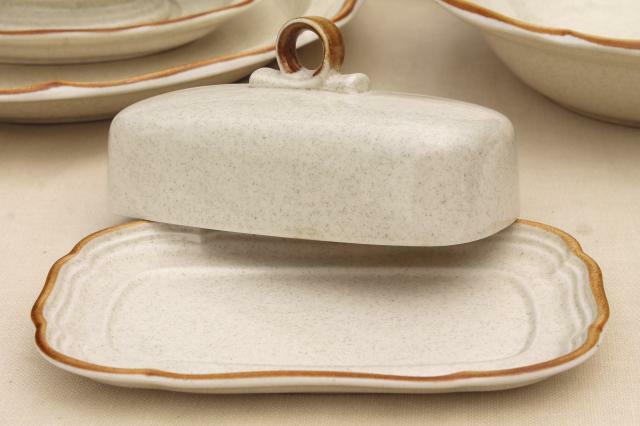 This is a lot of assorted serving pieces in the Garden Club plain tan - no floral pattern, made to work with any of the patterned Garden Club designs. 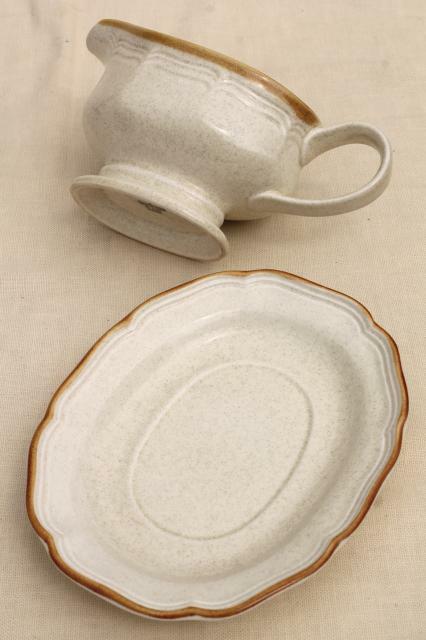 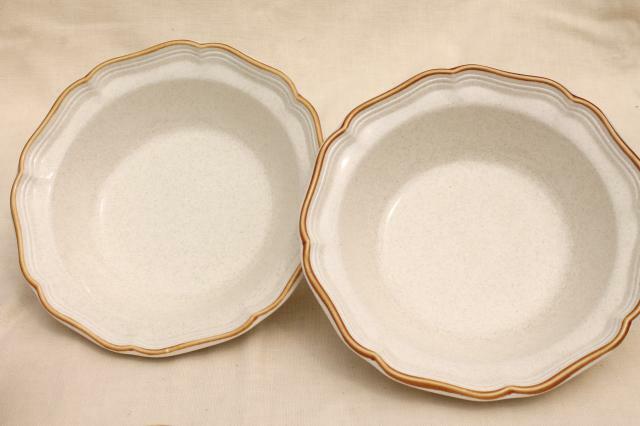 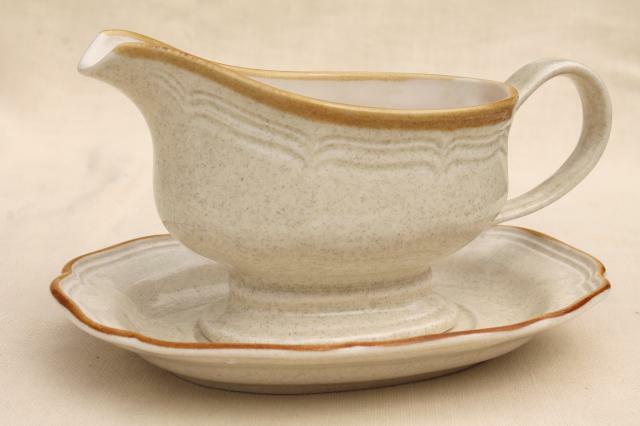 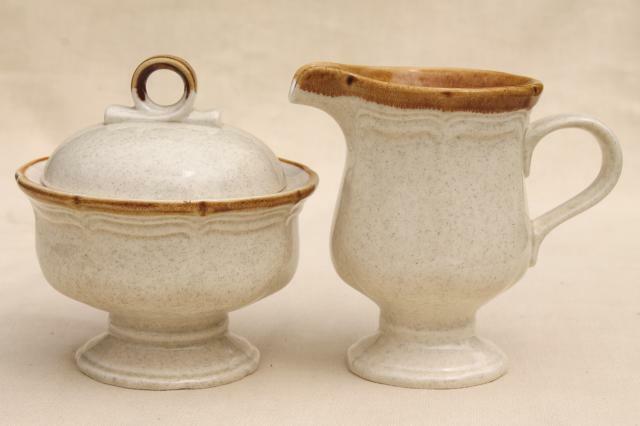 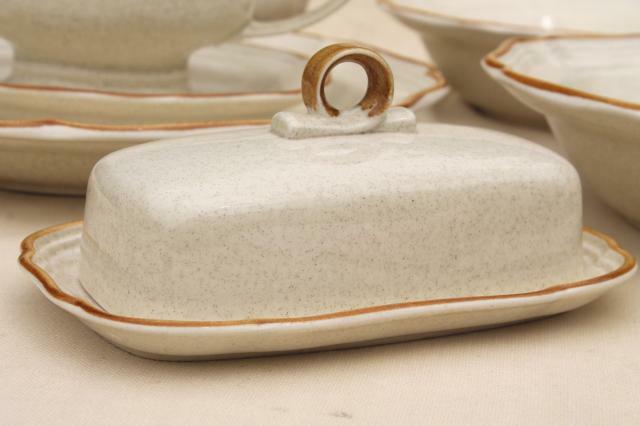 There's two of the 9" diameter vegetable bowls, one 12" chop plate, a gravy boat or sauce pitcher with separate underplate, a cream and sugar set, and a covered butter dish. 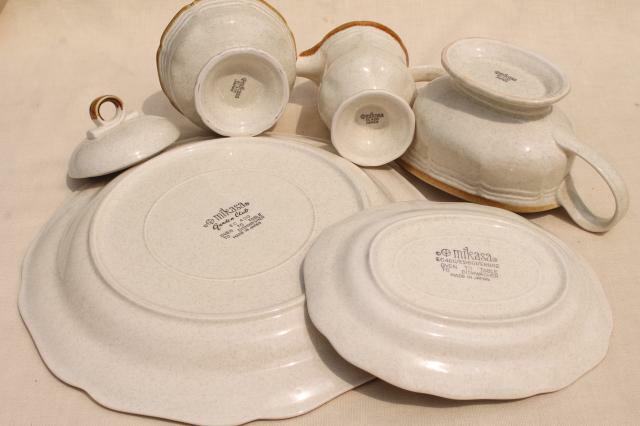 They're all in very good condition showing very little if any use, no chips, cracks or staining.